Royal Caribbean CEO Michael Bayley spoke to TTG about a variety of topics related to the future of Royal Caribbean, and touched upon a few topics that revealed a few hints of what is to come. When questions about the features and innovations of sister cruise brand Celebrity Cruises, Michael Bayley confirmed that the cruise line is looking at bringing the Infinite Veranda idea over to Royal Caribbean, “Edge has a lot of innovation. We need time to assess what works well and what doesn’t but we will take on some elements and put them on the new class of ship – Icon class and potentially Oasis 5." Bayley's comments follow up on guest surveys from last year that showed off a possible Infinite Veranda for Royal Caribbean. The shipyard charged to build Royal Caribbean's two Icon Class cruise ships has signed a contract for the classification of the ships with DNV GL Maritime. Liquefied natural gas (LNG) is envisioned as the primary fuel for the new vessels, which would dramatically reduce or even eliminate emission of nitrogen oxide (NOX), sulphur oxide (SOX) and particulates, as well as cutting carbon dioxide (CO2). The ICON Class will also introduce fuel cell technology, which in combination with hull air lubrication means that the ships could potentially be some of the most fuel efficient cruise vessels ever constructed. The ship will also take advantage of hull air lubrication, which has been used on other ships in the fleet. The final concept for the first vessel is currently being discussed, and the concept design phase is expected to start this spring. The initial building phase of the first ship will begin next year, with keel laying planned for October 2019. Heavy electrical company ABB announced it will deliver its first fuel cell system to be piloted on a Royal Caribbean cruise ship. This will be the first fuel cell system to provide an energy source for a luxury cruise ship. 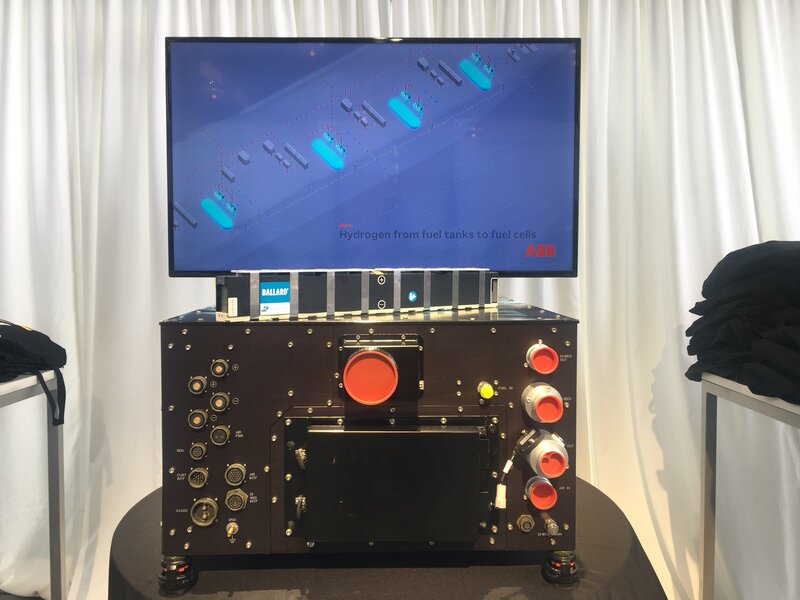 The pilot installation, including control, converter and transformer technology from ABB, will generate 100 kW of energy, and has been fully developed, marinized, assembled and tested by ABB Marine & Ports. 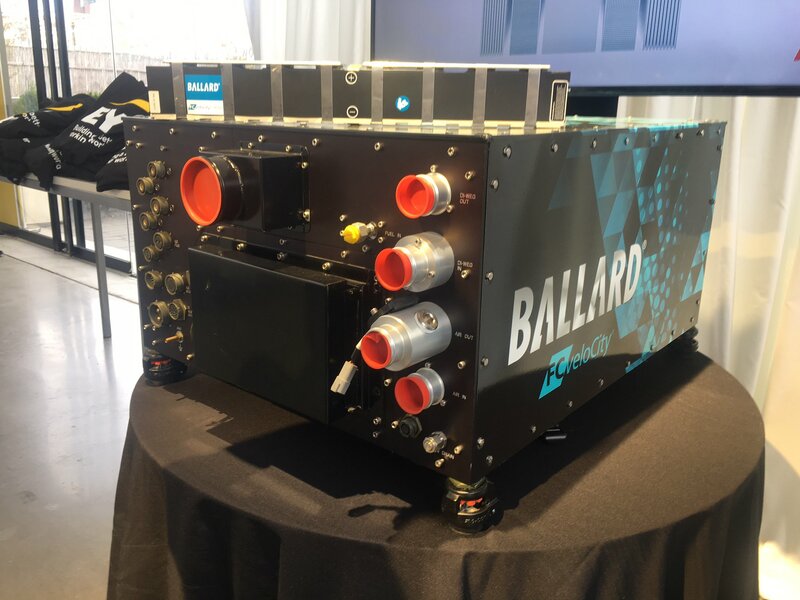 ABB selected an FCvelocity® proton exchange membrane (PEM) pure hydrogen fuel cell engine from Ballard Power Systems for its pilot system. Fuel cells generate energy by exploiting an electrochemical reaction at the interface between the anode or cathode and the electrolyte membrane. They involve no combustion, converting fuel directly to electricity and heat. "Our goal is to take the smoke out of the smokestacks", said Harri Kulovaara, Executive Vice President of Maritime and Newbuilding, Royal Caribbean Cruises Ltd. "We are dedicated to innovation, continuous improvement, and environmental responsibility, and using fuel cell technology gives us the opportunity to deliver against all three of these pillars." This test installation is part of Royal Caribbean's drive to include emissions-free fuel cell technology as part of the powering for its forthcoming Icon-class ships. 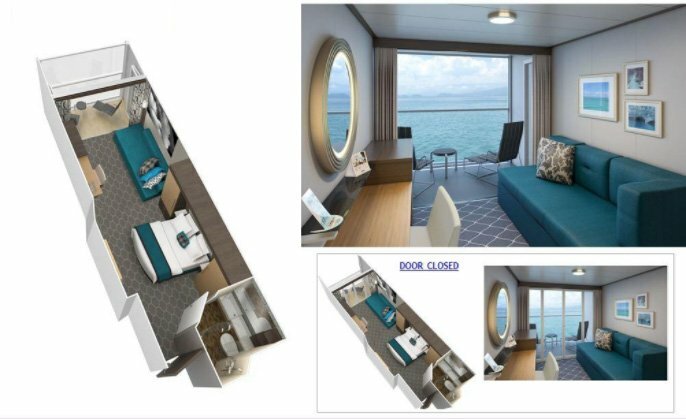 A little over a week after announcing it would build a next-generation type of cruise ship dubbed the Icon-class, Royal Caribbean registered a trademark for one of those ships. On October 17, Royal Caribbean filed a trademark application with the United States Patent and Trademark Office for "Icon of the Seas". Royal Caribbean had previously announced it was ordering two cruise ships for this new class of ships that would be powered by liquefied natural gas and fuel cell technology.